I’m watching live coverage of the Egyptian revolution on Al-Jazeera TV. Cairo is swarming with hundreds of thousands, defying the curfew, hurling stones at the police. The images recall the Palestinian youth waging their Intifadas. The National Democratic Party headquarters is in flames. Downtown Suez has been taken over by the people, two police stations torched. The security forces are out in strength and shooting into crowds. But the people have lost their fear. Watching the live coverage, I see the people of Egypt, fed up with their oppression, and inspired by the revolution in Tunisia, doing something very, very fine. It is inspiring. It is profoundly hopeful. The Obama administration line (as summarized by Joe Biden, interviewed by Jim Lehrer on PBS), can be summarized as follows: Egyptians have the right to protest. Many are middle class folks, with legitimate concerns. But we should not refer to Mubarak as a dictator. It’s not time for him to go. He has been a key ally of the U.S. and Israel, in the “Middle East peace process” and the War on Terror. Egypt is dissimilar to Tunisia, and it would be “a stretch” to suggest that a trend is underway. The U.S. should encourage those protesting and Mubarak to talk. Everyone should avoid violence. Seems to me however that this is another of those instances of chickens coming home to roost. The U.S. has supported Mubarak primarily in appreciation for his stance towards Israel. (The mainstream media is referring to him as an “ally” of Israel.) It’s not really because he’s been a “partner in the peace process”---because there is no real peace process. Relentless Israeli settlement activity on Palestinian land supported by the Lobby in the U.S. has insured that. Wikileaks documents indicate that Mubarak has been content for the “process” to lag indefinitely so that he could represent himself as the vital Arab middleman while enjoying two billion in U.S. military aid per year. But Palestinians hate him for cooperating with the demonization of democratically elected Hamas and the embargo imposed on Gaza. And Egyptians hate him for, among many other things, betraying their Palestinian brothers and sisters. Rather, the U.S. has supported Mubarak because he’s provided an Arab fig leaf for the unequivocal support for Israel that the U.S. has provided for decades. U.S. diplomats have, as Wikileaks reveal, at times expressed concern that the dictator might be causing some problems by his “heavy-handed” treatment of dissidents. But this is not a matter of moral indignation, or concern about the lives of Egyptians. It’s nothing more than an expression of concern that his fascistic rule might jeopardize his ability to help U.S.-Israeli policy in the region and keep the Suez Canal open. Egypt is exploding. The deferred dreams of the Arab world are exploding. And even the corporate media acknowledges that the people are jubilant (while warning that none of this might be in “our interest”). But for people with some basic morals, concerned about the happiness of humanity in general, is this not totally fine? Al-Jazeera shows viewers how U.S. officials are changing the tone of their comments, backing off more and more each day from support of Mubarak. They’re reiterating with increasing emphasis that the demonstrators indeed have legitimacy. (Did these people they just figure this out?) What sheer opportunism! Obama, always the centrist opportunist wanting to be everybody’s friend, wants to be the Egyptian people’s friend. He showed that in Cairo in 2009. In his celebrated speech to the Muslim world he on the one hand spouted platitudes about U.S. acceptance of Islam and on the other insulted everyone’s intelligence by calling the invasion of Afghanistan a “war of necessity.” He (accurately) described the vicious assault on Iraq as a “war of choice,” but said anything about how those responsible for such a crime ought to be punished. He does not support any investigation that would show how neocon Zionists in his predecessor’s administration faked a case for war that has killed hundreds of thousands of Arabs. His real message is: the U.S. can lie and kill, and then posture as the moral exemplar (maybe even apologizing slightly when crimes are embarrassingly exposed). Even so, the people of the world are supposed to understand that alignment with the U.S. is the best hope of their best hope. And now Obama wants the best of both worlds: an ongoing engagement with Mubarak (if he survives), and a hand outstretched to the people of Egypt, tainted by so many other handshakes with so many dictators so far. Demonstrators in Cairo note that tear gas canisters on the street are marked “Made in USA.” What should they to make of that? Who’s really encouraging their dreams? Who’s caused them to defer them, decade upon decade? It’s the same foe that has caused the deferment of dreams here in this country and around the world. I learned to say shukran in Cairo. To my friends there now, engaged in this fine, fine battle, I say that now. Shukran, shukran for inspiring the world, showing that another world might be possible. Manifestaciones en 18 ciudades, un gran nivel de adhesión de los trabajadores. 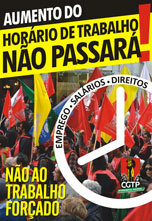 El día de la huelga el 28 de enero, entre los eventos y movilizaciones de los sindicatos de base FIOM, tenía todas las características para ser noticia . Pero acabo de terminar de escuchar el resumen de prensa de Radiotre (RAI). Ni uno solo de los periódicos de mayor circulación ha dado la noticia de las manifestaciones sindicales en primera plana . Afortunadamente, Il manifiesto e Il Fatto Quotidiano, con una pequeña cada de texto, han tratado de darle relieve pero nadie ha recogido la noticia. Únase lo anterior a la falta de cobertura en los créditos iniciales del telediario de la noche y se verá que se ha guardado un silencio absurdo. Periodísticamente es un vacío. Democráticamente es un asunto serio y debe ser condenado. Parece que a los grandes medios sólo les gusten las manifestaciones contra las corruptas clases dirigentes de África del Norte. Quienes cuestionan a nuestras clases dominantes quedan relegados al segundo plano . Sin embargo, también en Italia tenemos muchos ejemplos que deben llevarnos a no subestimar el peso de lo que ocurre en las calles . Incluso el primer gobierno de Berlusconi cayó en parte debido a fuertes movilizaciones en defensa del sistema de pensiones. Seguiremos haciendo lo posible para tratar de dar voz real a la Italia real, la que no aparece en los comunicados de prensa. Vídeo documental sobre el conflicto en Somalia - ¡Piratas! PJ Crowley, the spokesman for the US state department, has been talking to Al Jazeera about the recent protests in Egypt and Tunisia. He says the US supports social reform and more freedoms in Egypt, yet at the same time supports the government of President Hosni Mubarak. Crowley describes Egypt as "an ally and friend of the United States, an anchor of stability in the Middle East which is helping us pursue a comprehensive peace in the Middle East". "We want to see change in Egypt, we want to see it done peacefully and stably." Bottom line: State Department logic dictates supporting dictatorship in the name of democracy. Secret document sent from the US Embassy in Cairo to Washington. U.S. VISIT AND REGIME CHANGE IN EGYPT REF: A. CAIRO 2462 B.
plan for democratic transition by 2011; we are doubtful of this claim. conceded he is unsure whether he will have the funds to make the trip. \"fixer\" for journalists, due to his preoccupation with his U.S.
002 OF 002 information about GOE officials' alleged \"illegal\"
charged the U.S. with \"being responsible\" for Mubarak's \"crimes.\"
the snake\" -- must step aside to enable democracy to take root. 6.
police for a transitional government prior to the 2011 elections. conceded that April 6 has no feasible plans for future activities. mainstream of opposition politicians and activists. SCOBEY02008-12-307386PGOV,PHUM,KDEM,EGAPRIL 6 ACTIVIST ON HIS U.S. The slogans in Egypt are "Down with Mubarak, Down with the Regime". No anti-American posters have been reported... The overriding and destructive influence of the USA in Egypt and throughout the Middle East remains unheralded. The foreign powers which operate behind the scenes are shielded from the protest movement. No significant political change will occur unless the issue of foreign interference is meaningfully addressed by the protest movement. The US embassy in Cairo is an important political entity, invariably overshadowing the national government. The Embassy is not a target of the protest movement. In Egypt, a devastating IMF program was imposed in 1991 at the height of the Gulf War. It was negotiated in exchange for the annulment of Egypt's multibillion dollar military debt to the US as well as its participation in the war. The resulting deregulation of food prices, sweeping privatisation and massive austerity measures led to the impoverishment of the Egyptian population and the destabilization of its economy. The Mubarak government was praised as a model "IMF pupil". The role of Ben Ali's government in Tunisia was to enforce the IMF's deadly economic medicine, which over a period of more than twenty years served to destabilize the national economy and impoverish the Tunisian population. Over the last 23 years, economic and social policy in Tunisia has been dictated by the Washington Consensus. Both Hosni Mubarak and Ben Ali stayed in power because their governments obeyed and effectively enforced the diktats of the IMF. From Pinochet and Videla to Baby Doc, Ben Ali and Mubarak, dictators have been installed by Washington. Historically in Latin America, dictators were instated through a series of US sponsored military coups. In todays World, they are installed through "free and fair elections" under the surveillance of the "international community". Actual decisions are taken in Washington DC, at the US State Department, at the Pentagon, at Langley, headquarters of the CIA. at H Street NW, the headquarters of the World Bank and the IMF. The relationship of "the dictator" to foreign interests must be addressed. Unseat the political puppets but do not forget to target the "real dictators". The protest movement should focus on the real seat of political authority; it should target the US embassy, the delegation of the European Union, the national missions of the IMF and the World Bank. Meaningful political change can only be ensured if the neoliberal economic policy agenda is thrown out. If the protest movement fails to address the role of foreign powers including pressures exerted by "investors", external creditors and international financial institutions, the objective of national sovereignty will not be achieved. In which case, what will occur is a narrow process of "regime replacement", which ensures political continuity. "Dictators" are seated and unseated. When they are politically discredited and no longer serve the interests of their US sponsors, they are replaced by a new leader, often recruited from within the ranks of the political opposition. "The United States, which was quick to size up the groundswell of protest on the streets of Tunisia, is trying to press its advantage to push for democratic reforms in the country and further afield. The top-ranking US envoy for the Middle East, Jeffrey Feltman, was the first foreign official to arrive in the country after president Zine El Abidine Ben Ali was ousted on January 14 and swiftly called for reforms. He said on Tuesday only free and fair elections would strengthen and give credibility to the north African state's embattled leadership. "I certainly expect that we'll be using the Tunisian example" in talks with other Arab governments, Assistant Secretary of State Feltman added. He was dispatched to the north African country to offer US help in the turbulent transition of power, and met with Tunisian ministers and civil society figures. Western nations had long supported Tunisia's ousted leadership, seeing it as a bulwark against Islamic militants in the north Africa region. In 2006, the then US defense secretary Donald Rumsfeld, speaking in Tunis, praised the country's evolution. US Secretary of State Hillary Clinton nimbly stepped in with a speech in Doha on January 13 warning Arab leaders to allow their citizens greater freedoms or risk extremists exploiting the situation. Will Washington be successful in instating a new puppet regime? This very much depends on the ability of the protest movement to address the insidious role of the US in the country's internal affairs. The overriding powers of empire are not mentioned. In a bitter irony, president Obama has expressed his support for the protest movement. Many people within the protest movement are led to believe that president Obama is committed to democracy and human rights, and is supportive of the opposition's resolve to unseat a dictator, which was installed by the US in the first place. The cooptation of the leaders of major opposition parties and civil society organizations in anticipation of the collapse of an authoritarian puppet government is part of Washington's design, applied in different regions of the World. The process of cooptation is implemented and financed by US based foundations including the National Endowment for Democracy (NED) and Freedom House (FH). Both FH and the NED have links to the US Congress. the Council on Foreign Relations (CFR), and the US business establishment. Both the NED and FH are known to have ties to the CIA. The NED is actively involved in Tunisia, Egypt and Algeria. Freedom House supports several civil society organizations in Egypt. "The NED was established by the Reagan administration after the CIA’s role in covertly funding efforts to overthrow foreign governments was brought to light, leading to the discrediting of the parties, movements, journals, books, newspapers and individuals that received CIA funding. 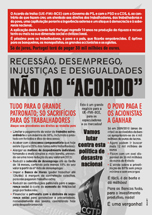 ... As a bipartisan endowment, with participation from the two major parties, as well as the AFL-CIO and US Chamber of Commerce, the NED took over the financing of foreign overthrow movements, but overtly and under the rubric of “democracy promotion.” (Stephen Gowans, January « 2011 "What's left"
While the US has supported the Mubarak government for the last thirty years, US foundations with ties to the US State department and the Pentagon have actively supported the political opposition including the civil society movement. According to Freedom House: "Egyptian civil society is both vibrant and constrained. There are hundreds of non-governmental organizations devoted to expanding civil and political rights in the country, operating in a highly regulated environment." (Freedom House Press Releases). In a bitter irony, Washington supports the Mubarak dictatorship, including its atrocities, while also backing and financing its detractors, through the activities of FH, the NED, among others. Freedom House, http://www.freedomhouse.org/template.cfm?page=66&program=84 (emphasis added). Political Double Talk: Chatting with "Dictators", Mingling with "Dissidents"
The Egyptian pro-democracy delegation to the State Department was described by Condoleezza Rice as "The Hope for the Future of Egypt". These opposition civil society groups --which are currently playing an important role in the protest movement-- are supported and funded by the US. They indelibly serve US interests. The invitation of Egyptian dissidents to the State Department and the US Congress also purports to instil a feeling of commitment and allegiance to American democratic values. America is presented as a model of Freedom and Justice. Obama is upheld as a "Role Model". through the Freedom House organization, prior to meetings at the State Department in Washington, DC, May 28, 2009". [Compare the two pictures 2008 delegation received by Condoleezza Rice, 2009 delegation meets Hillary Clinton in May 2009. Condoleeza Rice chats with Hosni Mubarak? " Hope for the Future of Egypt". The puppet masters support dissent against their own puppets? Its called "political leveraging", "manufacturing dissent". Support the dictator as well as the opponents of the dictator as a means of controlling the political opposition. 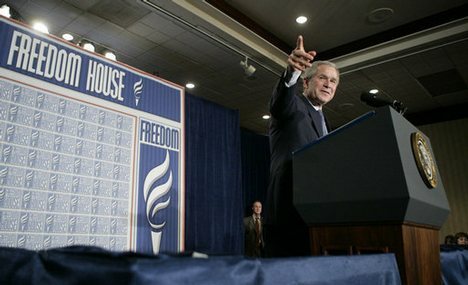 These actions on the part of Freedom House and the National Endowment for Democracy, on behalf of the Bush and Obama administrations, ensure that the US funded civil society opposition will not direct their energies against the puppet masters behind the Mubarak regime, namely the US government. These US funded civil society organizations act as a "Trojan Horse" which becomes embedded within the protest movement. They protect the interests of the puppet masters. They ensure that the grassroots protest movement will not address the broader issue of foreign interference in the affairs of sovereign states. The Kifaya movement, which organized one of first actions directed against the Mubarak regime in late 2004, is supported by the US based International Center for Non-Violent Conflict . Kifaya is a broad-based movement which has also taken a stance on Palestine and Us interventionism in the region. Freedom House fellows acquired skills in civic mobilization, leadership, and strategic planning, and benefit from networking opportunities through interaction with Washington-based donors, international organizations and the media. After returning to Egypt, the fellows received small grants to implement innovative initiatives such as advocating for political reform through Facebook and SMS messaging. One can easily apprehend the importance attached by the US administration to this bloggers' "training program", which is coupled with high level meetings at the US Senate, the Congress, the State Department, etc. The Muslim Brotherhood in Egypt constitutes the largest segment of the opposition to president Mubarak. According to reports, The Muslim Brotherhood dominates the protest movement. While there is a constitutional ban against religious political parties Brotherhood members elected to Egypt's parliament as "independents" constitute the largest parliamentary block. The Brotherhood, however, does not constitute a direct threat to Washington's economic and strategic interests in the region. Western intelligence agencies have a longstanding history of collaboration with the Brotherhood. Britain's support of the Brotherhood instrumented through the British Secret Service dates back to the 1940s. Starting in the 1950s, according to former intelligence official William Baer, "The CIA [funnelled] support to the Muslim Brotherhood because of “the Brotherhood’s commendable capability to overthrow Nasser.”1954-1970: CIA and the Muslim Brotherhood Ally to Oppose Egyptian President Nasser, These covert links to the CIA were maintained in the post-Nasser era. The removal of Hosni Mubarak has, for several years, been on the drawing board of US foreign policy. Regime replacement serves to ensure continuity, while providing the illusion that meaningful political change has occurred. Washington's agenda for Egypt has been to "hijack the protest movement" and replace president Hosni Mubarak with a new compliant puppet head of state. Washington's objective is to sustain the interests of foreign powers, to uphold the neoliberal economic agenda which has served to impoverish the Egyptian population. From Washington's standpoint, regime replacement no longer requires the installation of an authoritarian military regime as in the heyday of US imperialism, It can be implemented by co-opting political parties, including the Left, financing civil society groups, infiltrating the protest movement and manipulating national elections. With reference to the protest movement in Egypt, President Obama stated in a January 28 video broadcast on Youtube: "The Government Should Not Resort to Violence". The more fundamental question is what is the source of that violence? Egypt is the largest recipient of US military aid after Israel. The Egyptian military is considered to be the power base of the Mubarak regime. "The country’s army and police forces are geared to the teeth thanks to more than $1 billion in military aid a year from Washington. ... When the US officially describes Egypt as “an important ally” it is inadvertently referring to Mubarak’s role as a garrison outpost for US military operations and dirty war tactics in the Middle East and beyond. There is clear evidence from international human rights groups that countless “suspects” rendered by US forces in their various territories of (criminal) operations are secretly dumped in Egypt for “deep interrogation”. The country serves as a giant “Guantanamo” of the Middle East, conveniently obscured from US public interest and relieved of legal niceties over human rights." (Finian Cunningham, Egypt: US-Backed Repression is Insight for American Public, Global Research, January 28, 2010). America is no "Role Model" of Democratization for the Middle East. US military presence imposed on Egypt and the Arab World for more than 20 years, coupled with "free market" reforms are the root cause of State violence. America's intent is to use the protest movement to install a new regime. The People's Movement should redirect its energies: Identify the relationship between America and "the dictator". Unseat America's political puppet but do not forget to target the "real dictators". Shunt the process of regime change. Close down US military bases in the Arab World. Establish a truly sovereign government.